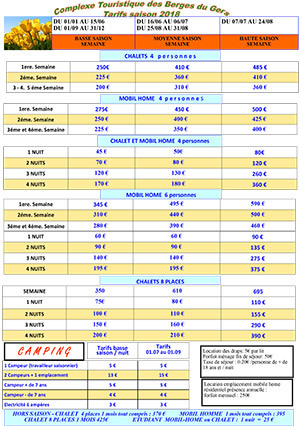 Welcome to our campsite "Les Berges Du Gers". Located in the river Gers valley, Masseube is an old fortified village in Gascony, and was nicknamed the green balcony of the Pyrenees. It is situated in the South of Gers. Enjoy a deep breath of fresh air in the peaceful countryside, discover the festive mentality and friendliness of local people during the village feastsor the numerous festivals, choose among a wide range of leisure and sports activities, and have an unforgettable stay in “Les Berges Du Gers”. The reception is open daily from 9:00 to 12:00 and from 3:00 to 7:00 pm.